35 years after its creation, designer Julian-Courtland Smith looks back on the phenomenal Survive: Escape from Atlantis! ■ The 30th Anniversary edition of Survive: Escape from Atlantis!, published by Stronghold Games. 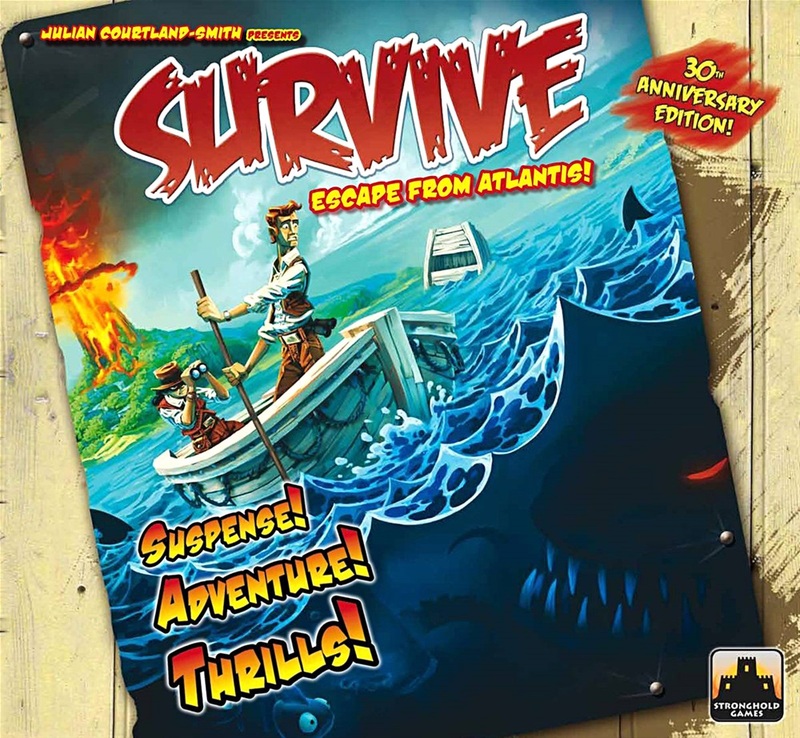 Survive: Escape from Atlantis! is one of the earliest examples of a gateway game. These are board games that straddle the boundary between family gaming staples such as Monopoly and Cluedo, and more advanced hobbyist games like Cosmic Encounter and Arkham Horror. 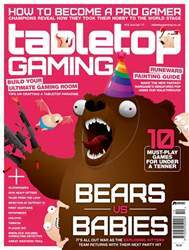 They balance short play times with exciting themes and feature rulesets simple enough for children to follow, while dipping their toes into the deeper waters tabletop gaming has to offer. Amongst their ranks are some hugely successful titles, including Pandemic and the mighty Ticket to Ride. In all these ways and more, Survive: Escape from Atlantis! resembles a modern gateway game, yet it has just celebrated its 35th anniversary. First published in 1982, the game sees players attempting to get their Atlantean villagers away from the mythical city as it sinks into the ocean tile by hexagonal tile. They must sail or swim to the safety of four corner islands, navigating an ocean filled with sharks and sea monsters. It’s a fast-paced game of tough choices and risk-taking, of fierce competition and fragile alliances. In other words, it’s everything you’d want from a family game.